Mobile Connect by Juniper Systems allows Windows Mobile handheld users to transfer files through USB from a handheld device to PC without using Windows Mobile Device Center. Microsoft support for the Windows Mobile operating system ended in 2010, and each Windows 10 update made USB file transfers using Windows Mobile Device Center more improbable. Juniper Systems launched Mobile Connect in October to support its Windows Mobile users for years to come. Juniper Systems’ applications support engineers created step-by-step guides to help you install, register, and use Mobile Connect. 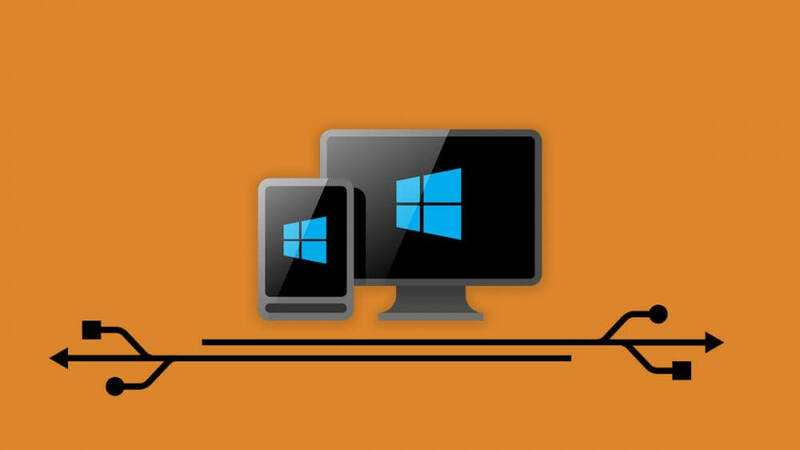 This post aggregates some of that information to help you utilize Mobile Connect, a permanent file-transfer solution for Windows Mobile users, on a Windows Mobile handheld. You can learn more about Mobile Connect here or purchase it here. Copy the Mobile Connect.CAB file to the device. You can use a USB flash drive, SD card, or any other available method. On the Windows Mobile device, use File Explorer to browse to the location of the Mobile Connect.CAB file, and tap the Mobile Connect.CAB file to run the installation. When the installation completes, you should restart the device. If the program prompts you to restart the device, choose Yes to restart, and allow the device to reboot. Run Mobile Connect.ShortcutInstaller.exe on the PC and follow the installation prompts. Use File Explorer to find Mobile Device under This PC. If you didn’t use the Shortcut installer, type ftp://169.254.2.1/ into File Explorer and select Enter. The first time you run Mobile Connect, select Activate Demo (7 Days). This unlocks a free seven-day trial period of Mobile Connect. Once you’re ready to fully activate Mobile Connect, input your unique 16-digit activation code and click Activate. Activation codes are available through contact with a Juniper Systems sales account manager. Each code requires a proof of purchase. The current iteration of Mobile Connect displays your unique registration code only after the first time you run Mobile Connect and after the end of your seven-day trial period. Document your registration code when it’s displayed. The registration code is required to receive an activation code from a Juniper Systems sales account manager. In an upcoming update, the registration code will be displayed on the About section of Mobile Connect. But in the meantime, document your registration code to later activate Mobile Connect. After installation and a device reset, Mobile Connect launches automatically and runs quietly in the background. Running Mobile Connect manually is easy, too. Select Start and then launch the Mobile Connect application. An IP address will appear in Mobile Connect when a cable is attached. However, some devices may require a settings change to verify the USB transfer method. On the device in the Start menu, select Settings, Connections, and USB-to-PC. Next, Select USB Ethernet, then tap OK, and connect a cable. Mobile Connect should now display an IP address. If it still doesn’t, disconnect the USB, exit Mobile Connect, and then connect the USB and relaunch Mobile Connect. You can easily transfer files through USB with Mobile Connect. On PC, you simply drag and drop files into Mobile Device under This PC located in File Explorer. Non-Juniper Systems devices utilizing Mobile Connect may require an Ethernet connection to transfer files between a USB port on a handheld device and PC. If your device requires an Ethernet connection, connect the Ethernet cable to a PC. A PC and handheld without an Ethernet port require a USB-to-Ethernet adapter to function. Connect the Ethernet cable between the two adapters to transfer files using Mobile Connect. Juniper Systems builds long-lasting rugged products that utilize the Windows Mobile operating system. These products are still used today around the world in harsh work environments – that’s why Juniper Systems developed Mobile Connect to support its customers long term. Check out Juniper Systems’ current lineup of rugged mobile computers, tablets. The Mesa 2 Rugged Tablet, which runs Windows 10 or Android, boasts an ultra-bright 7-inch display, visible even in direct sunlight. The Mesa 2 is fed by an all-day battery for unmatched data collection and computation in the world’s toughest environments. Contact us here to purchase Mobile Connect or learn more about Juniper Systems lineup of rugged mobile computers, tablets, and GNSS receivers. Visit Juniper Systems online. Randy Wright is the applications support engineer at Juniper Systems. If not what other possebilities we have to solve this persistent annoying connecting problem with WMDC? Thanks for the comment! Mobile Connect will work on Archer 1 if the OS version is 6.1 or higher. You can try to get Windows Mobile Device Center working again using these instructions. Or, you can contact us here and we’ll walk you through the process. It is good to find this alternative tool that can replace WMDC. I did tests to install it in non Juniper device, but i got errors during installation. Once i tap Mobile Connect.CAB, i’m facing this error message. “The file “\storage card\Mobile-connect-pkg (1)\mobile-connect.cab” is not a valid windows embedded compact setup file.”. I tried to install it in Zebra MC92N0. Can you please help me to fix the issue so i can continue the testing?